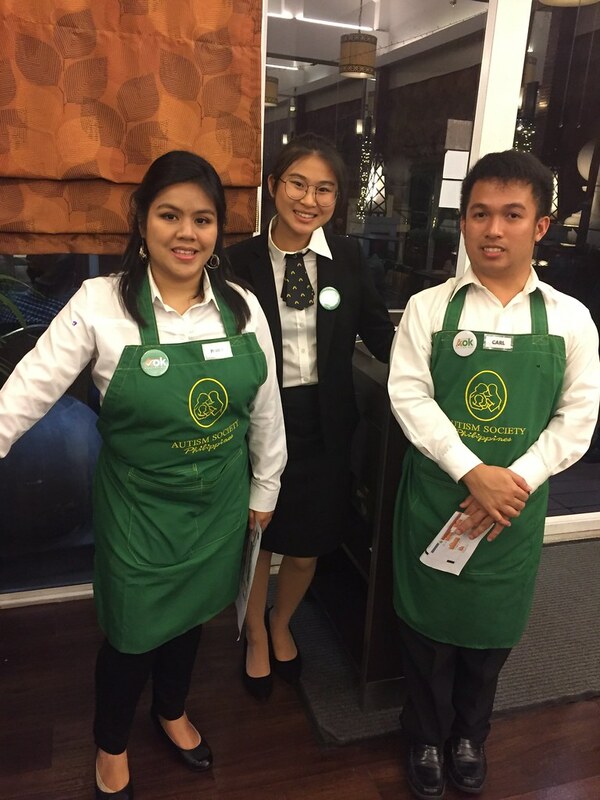 Young adults on the autism spectrum of the Autism Society Philippines community congregated at the Vatel Restaurant Manila on the roof deck of the Hotel Benilde in Manila City to deliver an inclusive dining experience to advocates and supporters. Hours before doors opened, PWAs were welcomed by the De la Salle-College of Saint Benilde family. Student organizations Chefs in Progress and World Hoteliers in Progress of the DLC-CSB School of Hotel, Restaurant and Institution Management and young adults with autism were assigned as kitchen staff, waiters and hosts, alongside neurotypical students to provide a unique dining experience. Students and PWAs were paired into work partners; and had a short team building exercise, before the dinner service began. 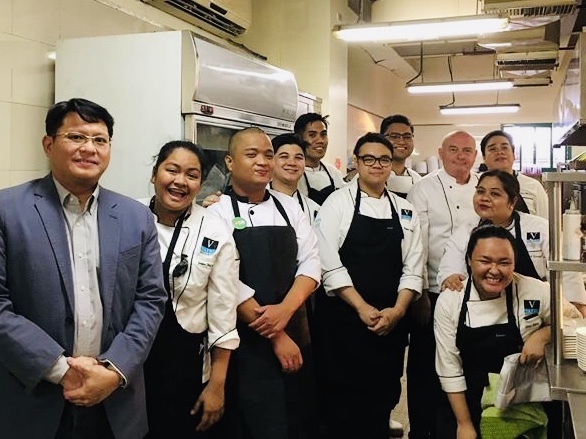 ASP's Autism Works x Project Gourm-A [gur-'may] event aspires to discover and show off skills of individuals on the spectrum in the restaurant industry. The encounter inspired acceptance, accommodation and appreciation of persons with autism through delivery of an autism-inclusive dining experience, development of employability skills of persons with autism in the food industry, development of autism-inclusive workplaces, and exposure of professionals in the food and hospitality industries to neurodiverse individuals. Vatel Restaurant Manila Executive Chef Pierre Cornelis welcomed PWA Conan Dizon as one of his kitchen assistants, who helped in prepping and plating the sumptuous four-course dinner of curried cauliflower with roast cashew soup, asparagus pomelo salad with andalusia dressing, beef bourguignon and salmon fillet with tian vegetables and jasmine pilaf rice and a choice of cerveza negra and chocolate ice cream and mango crème brulee. PWA Danica Escasinas, ASP Autism Angels Achievement Awardee for Performing Arts in 2017, elevated the evening's atmosphere with her smooth renditions of pop ballads. PWA Danica belting our a smooth tune. Mr. Arthur Alina, Director for Hatcheries, trained and commanded the service crew, who delivered customer-endearing service throughout the evening. PWAs Katherine Nagtano and Carl Veluz welcomed the guests at the door and ushered them to their tables. 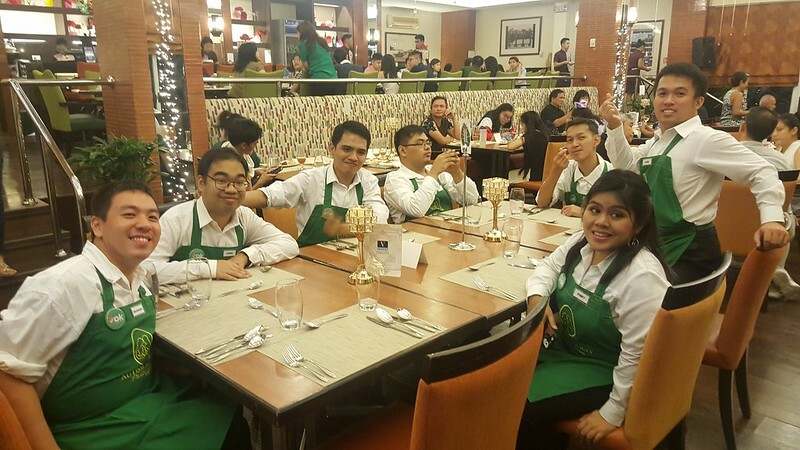 PWAs Jason Cando, Dreau Narciso, John Silva, Julius Sison and Brainard Tabije served their customers heart-warming French Mediterranean dishes. 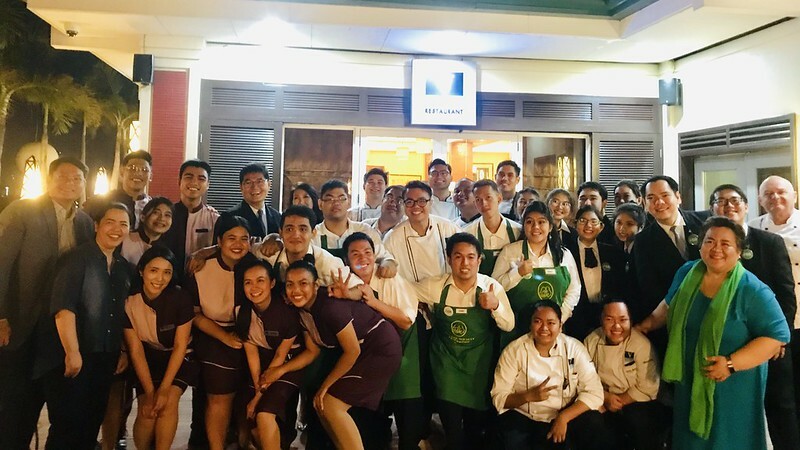 Aside from enjoying the experience, they all learned first hand how hard hotel and restaurant professionals have to work to deliver a fine meal. the ASP service team felt a profound respect for restaurant professionals. 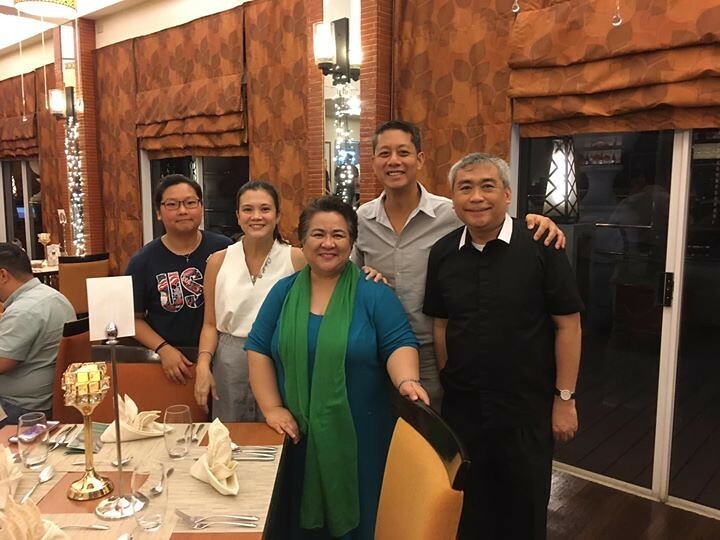 Dean Angelo Lacson of De la Salle-College of Saint Benilde SHRIM is among the project's enthusiastic supporters; and was seen checking in on the DLS-CSB students and their neurodiverse partners all through out the night. "Embracing inclusion as School of Hotel, Restaurant and Institution Management is not about just following the mandate of the College but rather our championing of equal opportunity and equal representation. 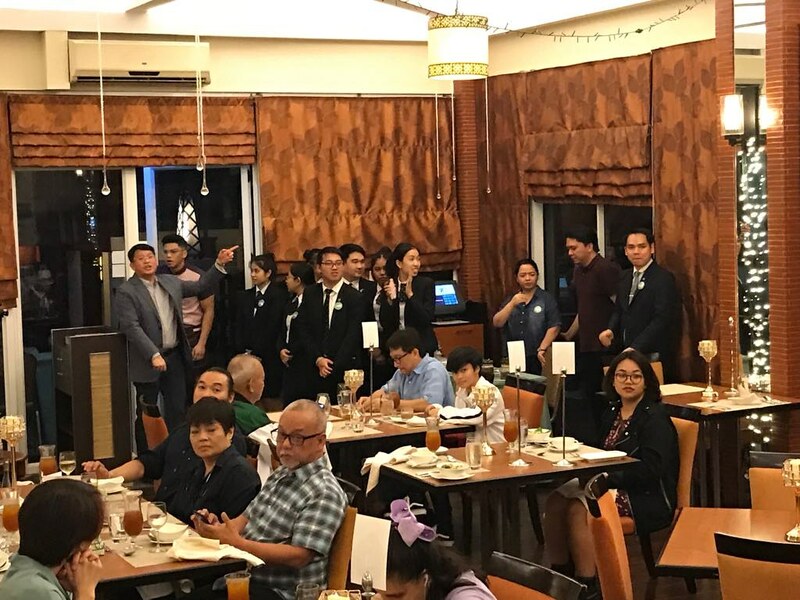 This dinner involving young adults on the autism spectrum is our school’s initial step in providing them with hospitality and culinary enrichment options.” CHIP Adviser Chef Tiffany Santuyo, Chef Jester Arellano and WHIP Adviser Mr. Jerwin Pineda were also present to guide and inspire! 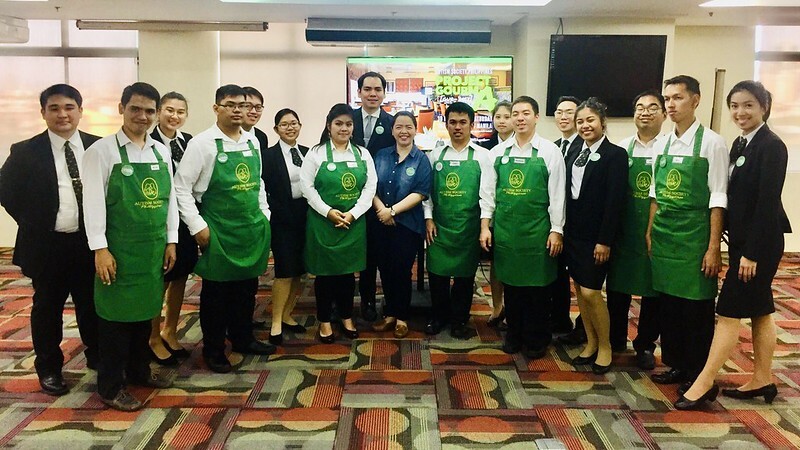 DLS-CSB School of Hotel, Restaurant and Institution Management. Our happy diners included Bro. 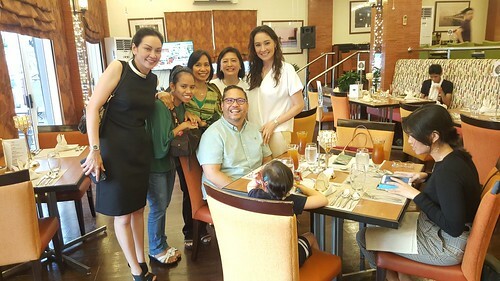 Dennis Magbanua FSC (outgoing President of College of Saint Benilde), Ms. Michelle Ressa Aventajado (Country Manager, Best Buddies Philippines) Ms. Suzanna Pavadee Vicheinrut Yuzon (Founder, Miss Possibilities), among other supporters who enjoyed a chill, laid-back dining experience. "Benilde has always believed in the importance of inclusion. In providing our students with opportunities for learning, along with the necessary support and accommodations, we open doors for them to become contributing members of society" declared Ms. Nicky Templo-Perez, Director for the De la Salle-College of Saint Benilde Center for Inclusive Education. "We are so excited to be supporting ASP’s Project Gourm-A and have our students from the SHRIM organizations work with persons with autism! I’m sure it will be a powerful experience for everyone." smile after a long night. Tired but happy! The ASP Project Gourm-A Project Team Ms. Mona Magno-Veluz, Ms. Peng So, Ms. Helen Cheng and Ms. Evelyn Go, were engaged and involved months ahead, ensuring an successful event and meaningful partnership. 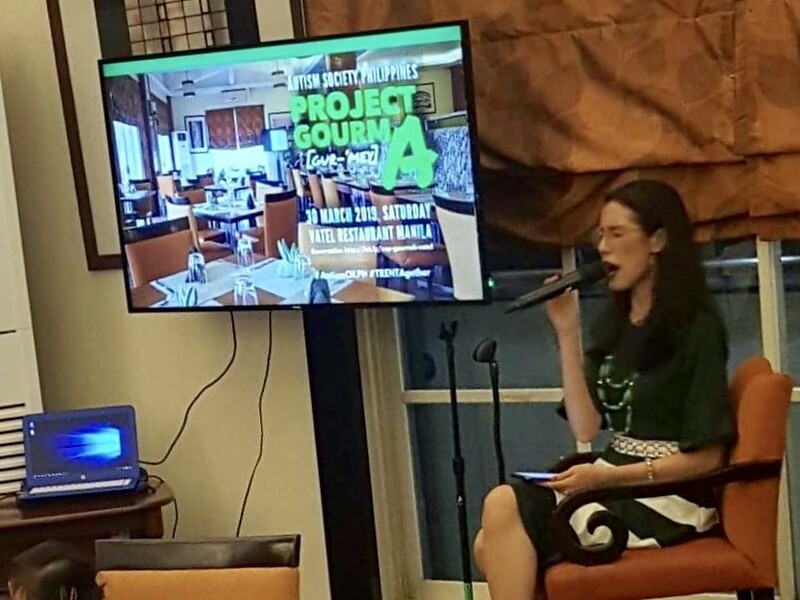 "The Project GourmA event tonight delivered on its promise of an intimate, sumptuous dinner," shared ASP National President Mona Magno-Veluz. "Aside from allowing the general public to experience how many young adults on the autism spectrum are ready for employment in the food and restaurant industry, our hearts are full because we saw how our diners, our PWAs and our partners had fun. Inclusion should always be this effortless." Relive the experience through these photos.